freedom of speech | Who is John Galt? There’s no way to rule innocent men. The only power any government has is the power to crack down on criminals. Well, when there aren’t enough criminals, one makes them. One declares so many things to be a crime that it becomes impossible for men to live without breaking laws. Who wants a nation of law-abiding citizens? What’s there in that for anyone? But just pass the kind of laws that can neither be observed nor enforced nor objectively interpreted—an you create a nation of lawbreakers—and then you cash in on guilt. Now that’s the system, Mr. Rearden, that’s the game, and once you understand that, you will be much easier to deal with. I admit that when I first heard of “Political Correctness”, I thought it was a brilliant idea. In my defense I hasten to add that I was still in my teens, or even a pre-teen. I believed that if we stopped saying ugly things about each other, we would also stop thinking them. Or at the very least, if racists and other bigots stopped using nasty words, they wouldn’t be able to spread their virus. Later I realized that Political Correctness wasn’t working. At least not very well. But I still believed that those who kept trying to enforce politeness were well-meaning but misinformed. Or maybe just lying to themselves. It is hard, after all those years, to admit to yourself that you were wrong about something fundamental. Like, thinking that if you force people to be polite they will eventually come to MEAN it, and then all kinds of racism, sexism, bigotism, and all other prejudices will just fade away and we will be one big happy family. But now I have begun to suspect something a bit more sinister. 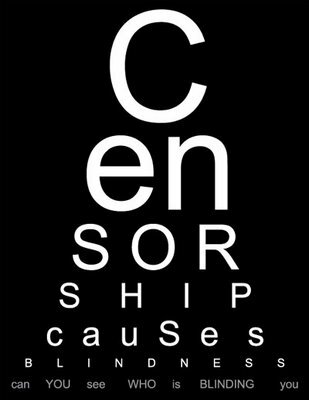 For what is “Political Correctness” but censorship of what somebody has decided is “forbidden thoughts”? Or rather, prohibition of expression of anything that might in some way hurt somebody else’s feelings? Whether it is Mohammed Cartoons, women in Ikea’s catalogs (or the removal of same), the depiction of a “Geisha” costume in a Victoria’s Secrets catalog, or the telling of off-color jokes. Maybe a lo t of people need to grow a thicker skin! Anything you say may be offensive to somebody, and you can be sure that the elite of Political Correctness will tell you if they find that you have transgressed! But if anything you say may be offensive in some vague form to some more or less undefined group, haven’t we reached the situation described in the Ayn Rand quote at the start of this post? Anything may or may not be illegal, there are no objective standards to determine whether or not you have transgressed, and you are guilty if the elite finds you guilty. It doesn’t even matter that the “elite” may not mean the government or other authorities, the tyranny works just as well, or maybe even better, without. If you stand accused, you have the right to a trial and appeal to a higher court. But a sentence for vague thought crimes, pronounced by self-proclaimed “experts” of Political Correctness, and announced in the sensationalist press, cannot be tried by an impartial judge and jury. You are guilty until proven otherwise, and you have no means of proving otherwise! And that is what “Political Correctness” is really about: Telling us all to not say anything that might mean something, because everything could be offensive to somebody! Because if you DO say something meaningful, and somebody takes offense (which will happen, because some groups seem to be offended by anything! ), you are guilty of the undefined crime of “political incorrectness”. In the meantime, the Politically Correct rule us through our own fear of unwritten laws that, as Ayn Rand put it, can neither be observed nor enforced nor objectively interpreted!